Plenty of good books have been written by agents and other experts about exactly how to write a winning nonfiction book proposal. 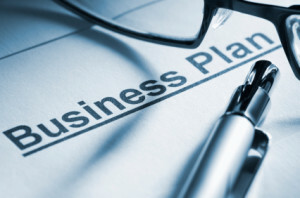 Not many have been written about how to write a good business plan for a book. If you plan to seek literary representation and to have your book purchased by a traditional publisher, at some point you will have to write a book proposal. 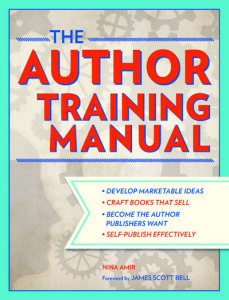 I’m writing a “manual” on how to become an author that uses the nonfiction book proposal as a process (The Author Training Manual, Writer’s Digest Books, 2014). I call this the proposal process. As you use the manual, applying its principles and answering the questions, you will learn a lot about what goes into a nonfiction book proposal, compile the information necessary to write a proposal and become prepared to write one. You’ll even write bits and pieces of one as you evaluate yourself and your book idea. And if you put all the information together into a document you have the beginning of a book proposal More important, by going through the steps of the proposal process, you end up with a business plan for your book. Every book needs a business plan. A book is, in and of itself, a profit center. As an indie publisher, you may have a book idea that is just the first glimmer of your entrepreneurial enterprise, known as a publishing company. That company needs a business plan. You need to know before you open the doors for business that your product has a market, that the product is needed by that market and can outsell the competition, that you have potential customers, and that you can earn back the expenses you incur to produce that product. Your customers are readers of your book. Your expenses come from hiring and paying editors, book designers, printers, indexers, proofreaders, and any number of other ancillary skilled “staff” of subcontractors. Once you have a business plan for your book that tells you that your book idea is a viable business proposition, you are ready to move out of the research phase and into the development phase of your new business. The book proposal you submit to a traditional publishing house becomes the first rendition of the business plan that the publisher uses for your book, should that publisher offer you a contract. In fact, should your proposal make it past the acquisitions editor to a marketing board meeting, those in-house experts will immediately use your proposal’s market and competitive analysis as a jumping off place for their own analysis. They also determine your advance—how much they pay you to write your book—based on your promotion plan and platform. This fee is an advance on potential book sales, and that estimated number is based upon a calculation of a variety of factors, including how many copies competing books have sold and how well you can help sell the book. The bigger your platform and the better or stronger your marketing and promotion plan, the more books a publisher assumes you can sell. If competing books have sold many copies, they assume your book might do just as well, if not better. Before you ever submit your book idea for review by an agent or publisher, you need to have gone through the proposal process. Once you have a business plan for your book that tells you that your book idea is a viable business proposition, you can convince a publisher of that fact. You can follow along here as I blog bits and pieces of the proposal process (and my manual) and learn the process as I publish posts. Or, if you are in a hurry, try accumulating the information for a book proposal yourself right now. (Use a nonfiction proposal as your structure whether you write fiction or nonfiction). Don’t write a formal proposal; just gather the information for each section and evaluate it. Do so with a critical eye. Evaluate yourself and your idea from the viewpoint of a literary agent or an acquisition editor. What would they see or think if they were reading the information you accumulated? What conclusions would they come to? Would they determine that you and your idea are both marketable? Do You Know What Your Book Is About or If It’s Viable? Or follow along here. Only select pieces from the manuscript, a working draft, will be poste—not the complete manuscript. Is my book a “viable business proposition?” What a terrific question. It snatches away my comfortable rug of dreams and puts me up against cold hard reality of facts and whether my book on faith will sell. This is scary stuff, but I’m motivated to learn and put into practice all the new information. That’s great, Amanda. That’s a real author attitude!